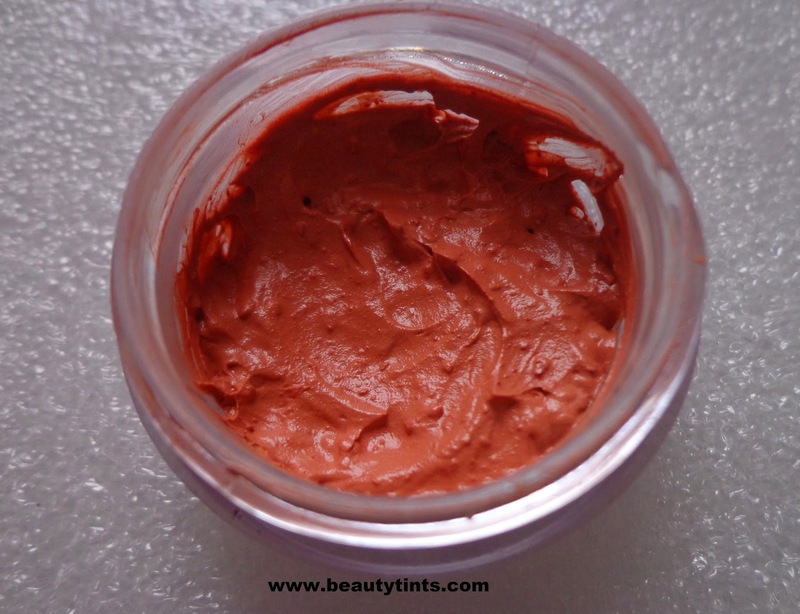 Sriz Beauty Blog: DIY - How to Make Your Own Orange Concealer / Corrector!!! 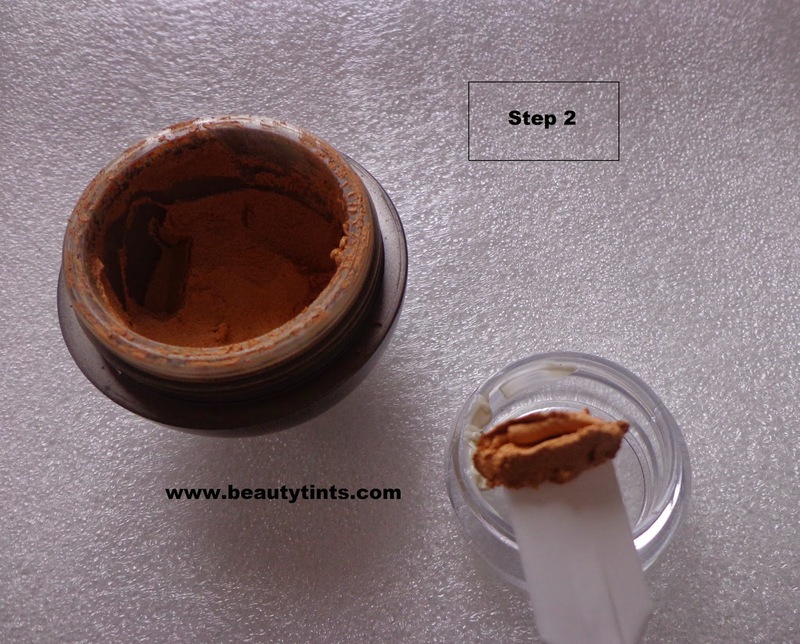 Its been a long time since I did some DIY posts and so finally I decided to do a DIY post today in which I am going to show you How to Make Your Own Orange Concealer / Corrector!! 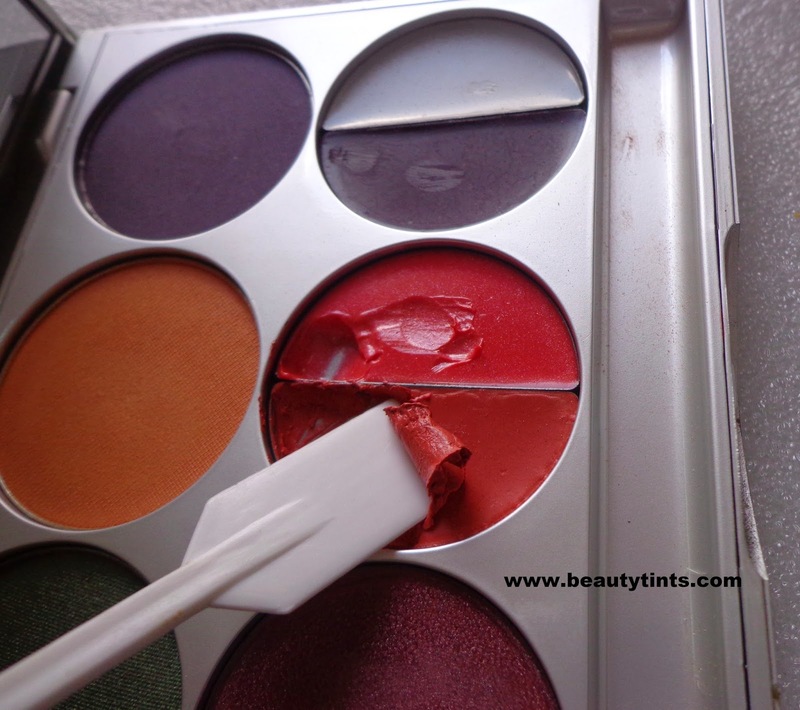 !We can get these readily in the market but they are highly priced and also it is a bit difficult to get the right shade as we have limited shades to choose from! 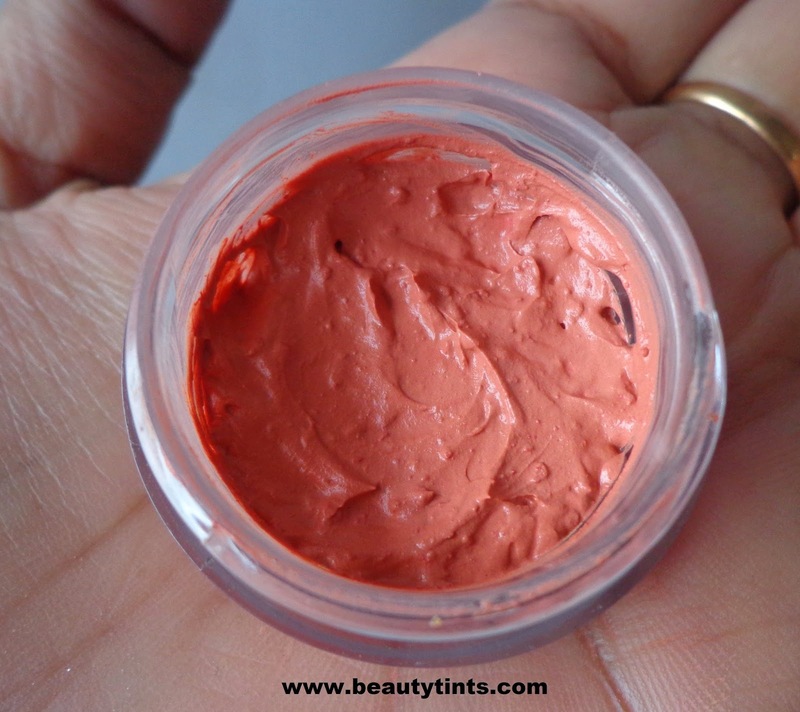 We can make this orange corrector or concealer super easily at home.This is not my own recipe,but have seen somewhere before and tried a month back and it worked very well and so thought of sharing it with you all! But before going into the procedure,let me tell you What exactly is an Orange Corrector or a Concealer? for those who do not have an idea about it! 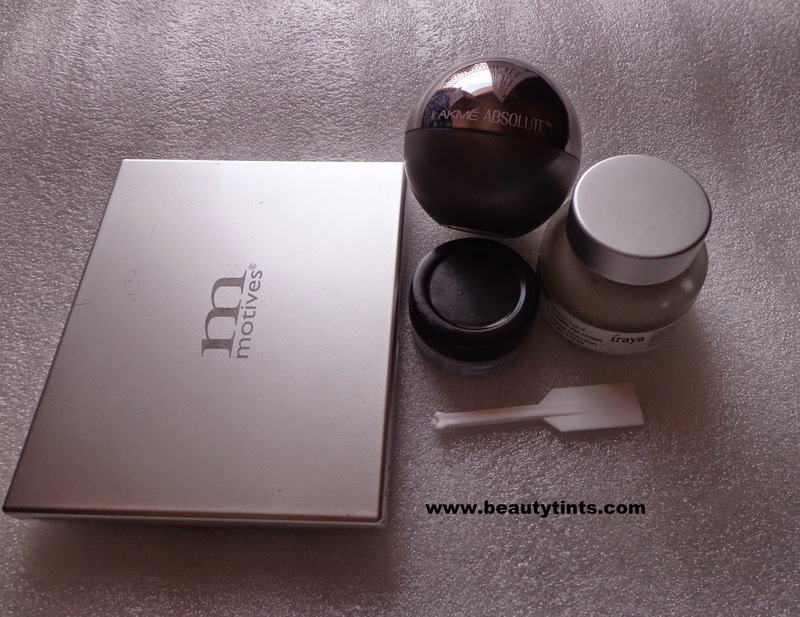 What is An Orange Corrector/Concealer ? 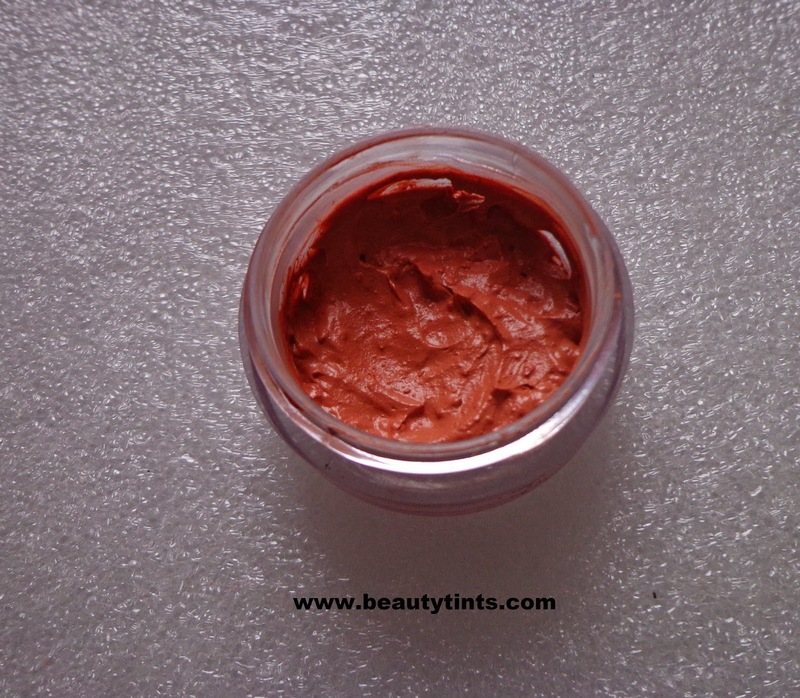 An orange concealer or corrector is an orange tinted concealer which helps in cancelling out the bluish or blackish or purplish tinge in the under eye areas and also around the mouth.The orange color helps well in neutralizing these bluish or purplish or greenish tinges.This orange corrector should be applied before concealer,to get the uniform color. Method Of Preparation : This can be prepared easily in 3 simple steps. 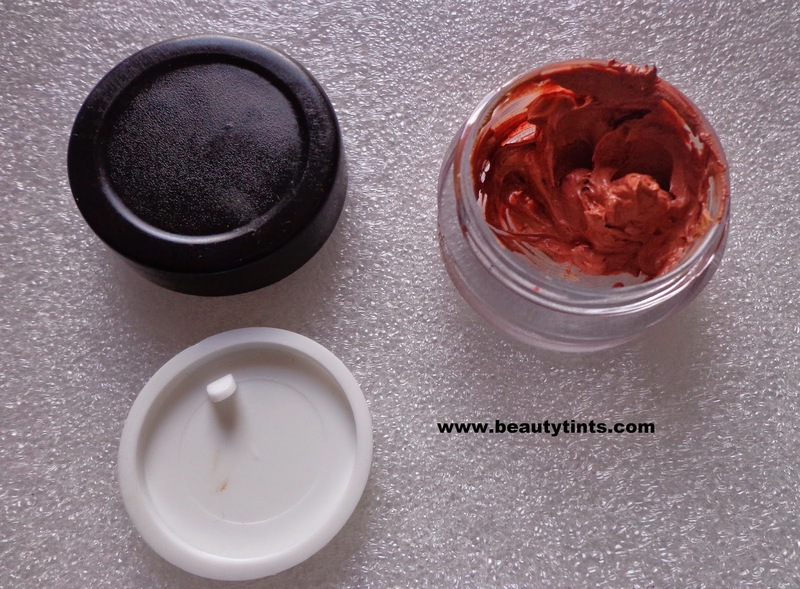 Step 1 : Scoop out some amount of under eye cream with a spatula into the empty jar.I am using Iraya Indian Kopak wrinkle eye cream here,which I reviewed here.This eye cream hydrates the under eye area well and helps in preventing the dry patches. 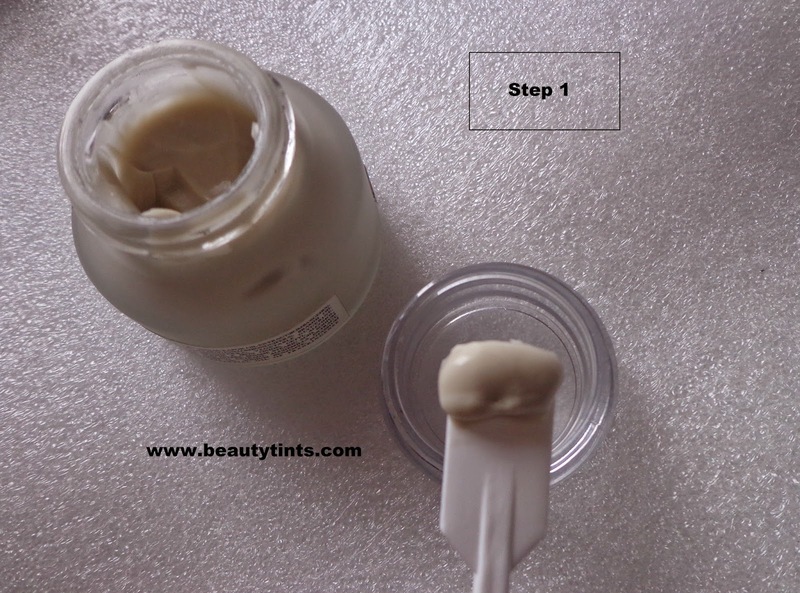 Step 2 : Now add a little amount of foundation also into the jar and mix well.I am using the Lakme Absolute Mattreal Skin Natural Mousse in shade 03 Golden Medium,which is a perfect shade for my skin tone.You can use any foundation either solid or liquid or powder foundation for this step. 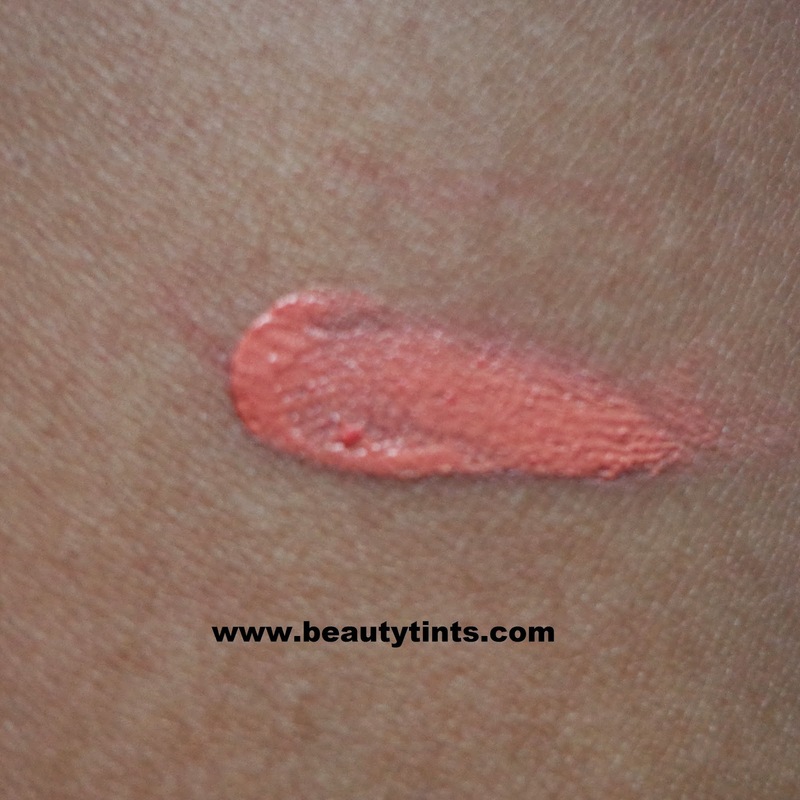 Step 3 : Now finally scoop out some amount of the peach or orange colored lipstick into the jar and mix well.You can adjust the quantity of the lipstick basing on the required intensity of orange shade .Here I am using the peach colored lipstick from the Motives Mardi Gras Pallette.If you are using the solid lipstick,you can melt it using a candle and then add into the jar. 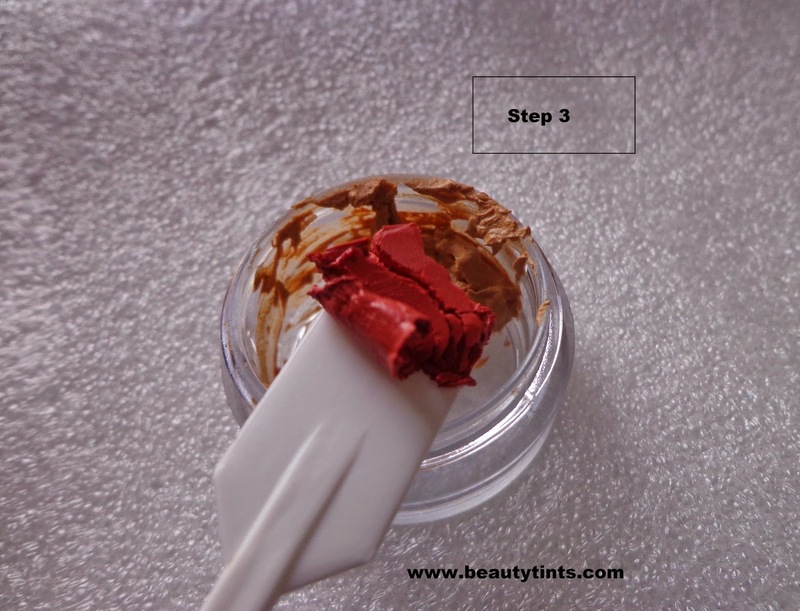 You can even use peach or orange cream or powder blush for this step. Now mix all these properly and store it.You can use it when ever needed. 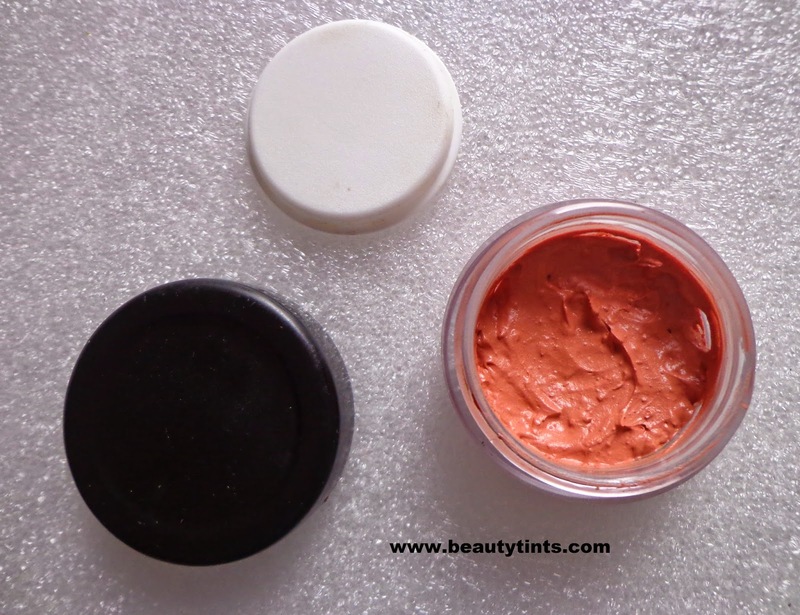 This orange corrector can be applied directly to the under eye area with out the need of an extra hydration step as it already contains the under eye cream in it and can be topped with a concealer and then sealed with a loose powder.This orange corrector helps you when ever you are in a jiffy as it is super easy to apply and blend.You can even skip concealer as we have used a good coverage foundation in this. 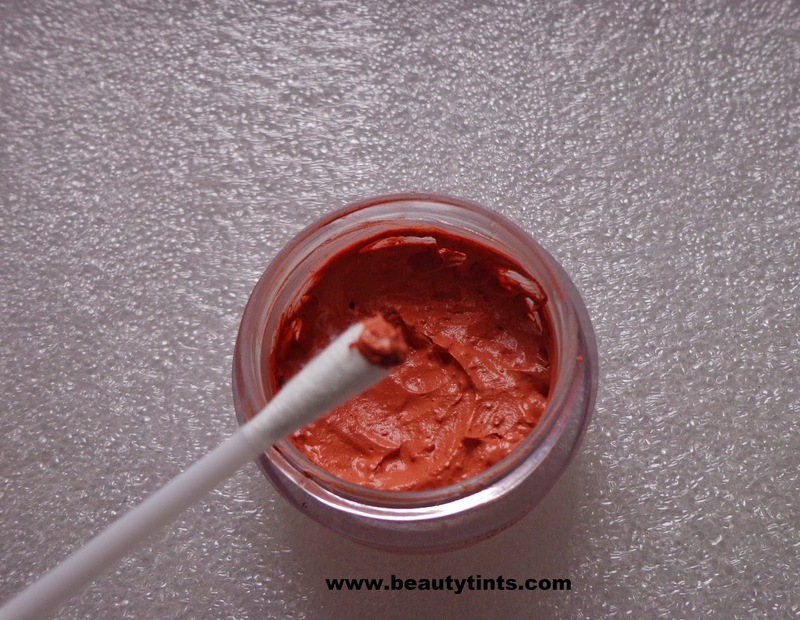 Just scoop out a little amount of this corrector with a q-tip and apply as dots on the under eye area and blend it with a brush or with your finger tips gently with a light pressure. 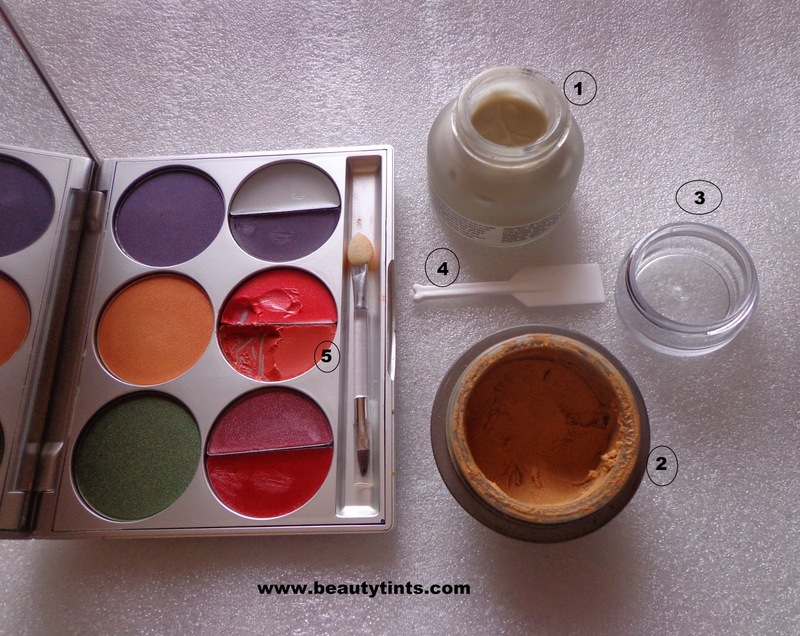 So,this is how we can prepare the orange concealer or corrector easily at home. Hope you liked this DIY post.Please let me know your opinion in th comments below!! !